Are you ready to begin your Self Defense Training Katy TX classes but you still haven’t picked a dojo? Perhaps you’re trying to prepare yourself for combat scenarios and looking for a place that can help you develop your skills and physical capabilities. If you’re trying to improve both your mentality as well as your level of fitness, Tiger-Rock is the perfect dojo for you. Our licensed and certified instructors are ready to assist you in your journey towards improvement. Tiger-Rock is a martial arts academy that was started back in 1983. Since then, we have grown to have over a hundred locations nationwide. 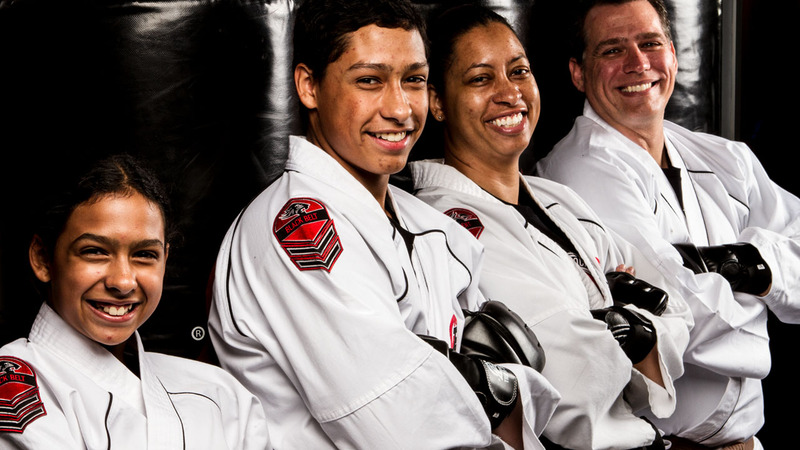 We are the most popular martial arts franchise in the country, and we’re always trying to grow our team. Each and every dojo has a staff of certified instructors and martial arts experts who are here to help you improve yourself. If you’re a student who is trying to transform both physically and mentally, this is the place for you. In today’s society, it is absolutely vital to have proper self-defense training. When you’re walking to or from work late at night, you never know what type of people might be roaming the streets. If you happen to encounter a criminal who is trying to harm you, being able to defend yourself can make all the difference. If you’re trying to prepare yourself for this type of scenario and you need some guidance, our professionals can help you. Our Self Defense Training Katy TX courses provide you with the structure and resources you need to learn how to defend yourself against threats. We teach our students how to handle real-life combat scenarios so you’ll be equipped to deal with a live assailant. Our instructors are here to push our students and provide them with hands-on training. While this may seem intense at times, you will most definitely learn the proper techniques you’ll need to get out of trouble. One of the positive benefits of learning these types of techniques if the physical transformation you will undoubtedly embark on. Did you know that you will train both your lower and upper body by committing yourself to our classes and exercises? This is a full-body exercise that helps every limb become stronger. If you’re trying to get a complete workout while strengthening your core, this is a great place to be. However, this is much more than just physicality. Are you beginning to have problems focusing, and you find yourself regularly daydreaming or simply not paying attention? Maybe you’ve had a task at hand at work for a long time, and you’re still trying to figure out the best way to handle it. If you can’t seem to increase your mental toughness on your own and you need some help, our classes may be a perfect fit. One of the main aspects of Tiger-Rock is that we do not take shortcuts. When you commit to one of our courses, we train you to step by step. While there are ranks for some of our martial arts programs, the next level cannot be achieved without a display of proficiency, commitment, and excellence. Seeing yourself gradually improve and do things you were previously incapable of doing is a great way to build confidence. Martial arts is one of the most common forms of stress relief, and it will also help you develop a sense of discipline. We incorporate many character-building exercises and aspects into our courses. Not only will you grow physically; our classes will help you make a complete mental transformation while building physical strength. The form of traditional Korean Taekwondo is suitable for all ages. Our instructors have worked with students from all walks of life before. We have adult karate as well as programs that are specifically built with young toddlers in mind. If you have children who are just as interested as you and you’d like to find a dojo that can accommodate the whole family, call Tiger-Rock. We welcome families, and we think each and every one of you will be able to find the right program for you. Our introductory course package is something that is mandatory for all incoming students. If you’re on the fence about signing up at a dojo and you’d like to try out some sessions, this is the best way to do it. This bundle includes three sessions as well as a performance evaluation. We highly suggest these to all prospective students. It’s important to find a dojo that is a good fit for you, and trying out sample classes is a great way to figure out what you want. We have developed an atmosphere that provides students with the encouragement, discipline, and motivation they need to succeed. Competition is something that we encourage, but it is not mandatory. We hold nationwide tournaments that allow students to pair up with evenly matched opponents for sparring matches. If you’re trying to see how your skills measure up, this is a great way to do so. There is much more to martial arts than just competing, though. If you’re looking for a friendly place that takes beginners of all ages, TRMA is the solution for you. 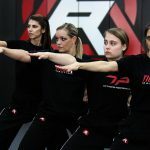 When you’re ready to begin your Self Defense Training Katy TX journey, visit Tiger-Rock Martial Arts. We understand that each and every student is different, and we want to make sure you get the most out of your classes. 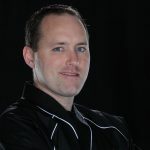 Our team of instructors is ready to guide you through defense training and give you the tools you need to ward off an attack. For more information, feel free to call us and ask questions. We can also give you detailed info on the many different programs and classes we have here at TRMA. Did you know that the city of Katy is formerly Cane Island? There are many notable people who are from Katy. De’Aaron Fox to the Sacramento Kings and Andy Dalton of the Cincinnati Bengals are only two of the star athletes who call this city home. Our city rests right in the middle of the Houston-Sugar-Land-The Woodlands area.